Fluids like crude oil and highly concentrated emulsions are very viscous (thick or sticky). Considerable pumping pressure is required to transport them, even when large diameter pipes are used, which makes the process extremely energy-intensive. Researchers are therefore trying to ascertain ways to reduce the effective viscosity of these fluids so that the huge savings in energy consumption can lead to reduced transportation cost, and therefore a smaller overall carbon footprint for such industries. 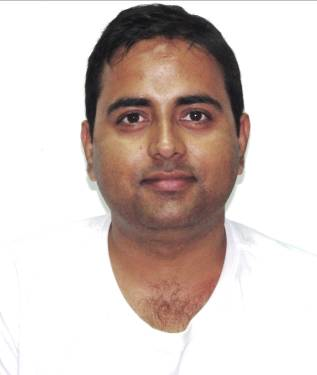 One such researcher is Sumit Tripathi from the IITB-Monash Research Academy, who is working on a project titled, ‘Development of Model to predict rheology/properties of High Internal Phase Emulsion’ under the supervision of Prof Amitabh Bhattacharya, Prof Ramesh Singh, and Prof Rico Tabor. This work is supported by Orica Mining Services (Australia), one of the Academy’s industry partners. The IITB-Monash Research Academy is a Joint Venture between IIT Bombay and Monash University, Melbourne, and operates a graduate research program in Mumbai. Research is conducted by scholars like Sumit in both countries, whilst studying for a dually-badged PhD from both organizations. Simply put, researchers like Sumit are lubricating the viscous fluid with water near the pipe walls. Their final aim is to use minimal energy and water to transport high viscosity fluids via this method. For complex fluids, such as highly concentrated emulsions, they also aim to understand how this minimal energy is related to the rheological properties of the fluid. Rheology is the branch of physics that studies the deformation and flow of matter. Extensive literature is available on CAFs, says Sumit, including models for levitation, stability studies, empirical studies of energy efficiency of different flow types and empirical correlations giving the pressure drop vs. mass flux. However, almost all the studies have been reported for Newtonian fluids, and little is known about the suitability of highly viscous non-Newtonian fluids having complex rheology to be transported as CAFs. Sumit is, therefore, minutely examining the transport characteristics and rheology of concentrated emulsions, especially the High Internal Phase Emulsions (HIPEs). Prof Murali Sastry, CEO, IITB-Monash Research Academy, is confident that the work being carried out by Sumit and his fellow researchers will have a huge impact on process industries dealing with highly viscous complex fluids. Industries like petroleum, food, cosmetics, paints, health-care, etc—which routinely handle such fluids at various stages of processing—will be keenly watching Sumit’s progress.